On this Theme Thursday Season Three webcast, Jim Collison, Gallup's Director of Talent Sourcing, and Maika Leibbrandt, Senior Workplace Consultant, talk about Relator with guest Ryan Salvanera. Relator describes your attitude toward your relationships. In simple terms, the Relator theme pulls you toward people you already know. You do not necessarily shy away from meeting new people — in fact, you may have other themes that cause you to enjoy the thrill of turning strangers into friends — but you do derive a great deal of pleasure and strength from being around your close friends. You are comfortable with intimacy. Once the initial connection has been made, you deliberately encourage a deepening of the relationship. Relator is about selectivity, a depth of relationship, and a connection with people that is more about longevity and genuine sincerity. Steps towards real friendship are coming from a place of vulnerability that others may find too intimate. There is a comfort with being real, honest and raw with people. It is more about having those quiet moments with those you truly trust, and who trust you in return. Relators seem to see a deeper level to relationships than others ever could. If you are leader with Relator you can enhance the depth of understanding within a team. There is a willingness to go beyond some of the surface triggers and understanding of others. Great leaders really need to know what excites people, what makes them take action and what motivates them. What does intimacy look like in a business context? It is something that can take a bit more time, but could yield very productive partnerships. Valuing the longevity of relationships is something that can open you up to more opportunities for riskier feedback. You could also extend your skillset through relationships. Study diversity in your inner circle. How do you get to know the individuals who are already close to you? Set yourself up with relationships where you have the time and the trust to really get to know how people are doing. You do not have to force yourself to be great at small talk if you are not. Create safety by expressing how you feel about ideas or initiatives, whether that is good or bad. Even if you are communicating with people outside of your circle, you can still offer some of that Relator talent because of the authenticity that it brings. You can do this by expressing how you feel. Spend time with those closest to you. This is a theme that needs that to thrive. A leader may use Relator to build trust by intentionally seeking out those you are closest to and asking for their input. Encourage close relationships amongst other people. Celebrate when people are working really well together. You can build stability by revisiting your inner circle of friends. Think about the stability you feel when you are around your closest friends, and encourage others to do the same. You can show compassion by listening for raw reaction and emotion. You don’t have to shoulder the entire burden and let everyone into your circle, but give others the chance to share in that emotion. Finally, you can inspire hope by expressing the personal stories about what a better future looks like for you. Share your own stories of hope. Study these, and really put them into a narrative form whenever you are talking to your team about change and how things can be better in the future. How do you feel about the Relator theme in a leadership role? Share your thoughts and experiences on the Called to Coach Facebook page. Ryan Salvanera is a Leadership and Productivity Coach whose passion is to help unleash the unique superpowers that lie in all of us. Coach Rye invests and interacts with his coachees to facilitate their growth, development, and performance, bringing them from good to great to awesome! He has over 15 years of experience managing and coaching teams and individuals from his years in the I.T. 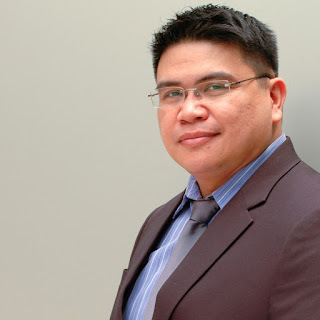 industry, where he worked for world-renowned establishments and MNCs such as Ateneo De Manila University, De La Salle University, Accenture (Navitaire) and Oracle. Ryan's top 5 strengths are: Relator | Arranger | Learner | Maximizer | Individualization.